BODY CARE® Anti-Bacterial fabrics (AB100) - These fabrics utilize AEGIS Microbe Shield® , a highly effective natural anti-microbial agent that restrains microbes from breeding, and is both ecologically and environmentally friendly. BODY CARE® fabrics with Quick Dry function (Quick Dry — QD100) keeps the body dry and comfortable. These fabrics absorb moisture and perspiration from the skin and transport it quickly through the fabric for fast evaporation. BODY CARE® UV-Cut fabrics (UV100) block and absorb 99.9% of UV-Rays to protect the skin. These fabrics are the equivalent of SPF-50 (sun-protection factor). BODY CARE® for Multi-Functional fabrics (Multi-Function — AB100) stress fast evaporation of moisture away from the skin. These fabrics contain long-lasting anti-bacterial qualities and block and absorb UV-rays to protect the skin. RECYCLED POLYESTER – Eclat Textile Co. Ltd. offers high-quality polyester fabrics made from 100% recycled plastic PET bottles. 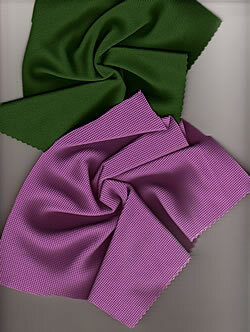 These fabrics can be blended with other fibers, like organic cotton, Lycra®, etc. 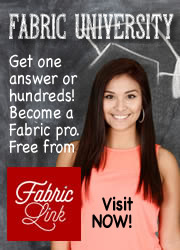 These fabrics are durable, soft, shrink-resistant, colorfast, and easy-care. LENZING MODAL®/TENCEL® - Fibers used for these fabrics are made from the pulp of beech wood and eucalyptus trees. Cellulosic fabrics are soft, drapeable, and renewable. POLYPROPYLENE FABRIC – Functional fabrics that possess natural water repellence, are lightweight, with good thermal retention. BAMBOO BLENDED FABRIC – Made from refined, bleached, and processed, bamboo pulp, which is extruded into a fiber. 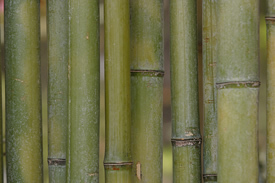 Eclat’s bamboo fabrics are lustrous, extremely soft, absorbent, breathable, take dyes well, and are biodegradable. BAMBOO CHARCOAL FABRIC - Nano-scale bamboo charcoal powder is added to other materials during the spinning process, creating fabrics that are absorbent, with moisture management and anti-bacterial protection effective for 50 washings. COCONUT CHARCOAL FABRIC – Eclat uses coconut shells from food industry waste. The activated microspore coconut charcoal, infused into the fiber, creates fabrics that absorb sweat, eliminate odors, and dry fast. ORGANIC COTTON - Eclat's organic cotton fiber and eco-friendly manufacturing processes are certified. Organic cotton is grown without chemical pesticides, herbicides or fertilizers. PLA FABRIC/Sorona® – Using fibers made from lactic acid (fermented sugars) found in plants, PLA Fabrics are sustainable fabrics from a renewable resource. SEAWEED/SEACELL® - A renewable cellulosic fiber derived from seaweed. These fabric are breathable, stimulating, comfortable. GERMAINIUM ALLOY FABRIC – These fabrics are antistatic, deodorizing, relieve tiredness/fatigue, increase comfort, increase blood circulation, and reduce pain. MOSQUITO REPELLENT FABRIC – EPA registered finishing treatment binds permethrin to the fibers that provides odorless insect protection effective for multiple washings. 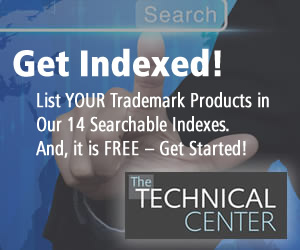 SILVER-BASED POLYESTER/X-STATIC®: Antimicrobial fabric that helps to prevent odors. NEGATIVE ION FABRIC: Yarns contain varied types of ceramics that radiate far-infrared rays and negative ions to improve health, energy and mood. 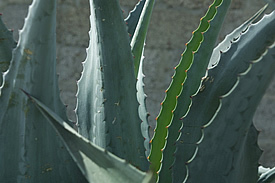 ALOE VERA BODY CARE® FABRIC - Micro-beads and binders are built into the fabrics that work with the body's natural movements to release aloe vera onto the wearer's skin. X-POLE ADVANCED TECHNOLOGY - Advanced performance with comfort and function for cold weather wear. X-Pole fabrics include: Ultra Dry Series, X-Pole Wind Stop Series, X-Pole Anti-Static Series, and X-Pole Snagging Resistance Series. 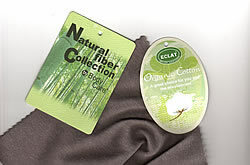 BODY CARE® stocked in basic colors from Eclat Textile Co., Ltd.
ECLAT TEXTILE COMPANY LTD. - Based in Taipei, Taiwan, Eclat is a vertical producer of circular knit fabrics for a variety of apparel markets. The company produces all types of knitted fabrics, including single knit jersey, interlock, rib knit, jacquard, terry knit, fleece, etc. The Eclat Philosophy: Establishing global integration and management for the best customer service, Eclat incorporates innovation in the development of all its fabrics to become a leading producer of stretch knit fabrics.